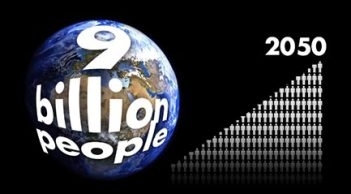 On July 1, the University of California announced our new Global Food Initiative to address one of the critical issues of our time: How to sustainably and nutritiously feed a world population expected to reach eight billion by 2025. UC's Division of Agriculture and Natural Resources is already a critical partner with California's farmers and consumers, providing growers and ranchers with scientifically tested production techniques, educating families about nutrition, improving food safety and addressing environmental concerns. With programs in every California county, our research and extension network in California reaches from Tulelake to El Centro and more than 130 countries working to solve agricultural problems at home and abroad. The initiative will align the university's research, outreach and operations in a sustained effort to develop, demonstrate and export solutions — throughout California, the U.S. and the world — for food security, health and sustainability. 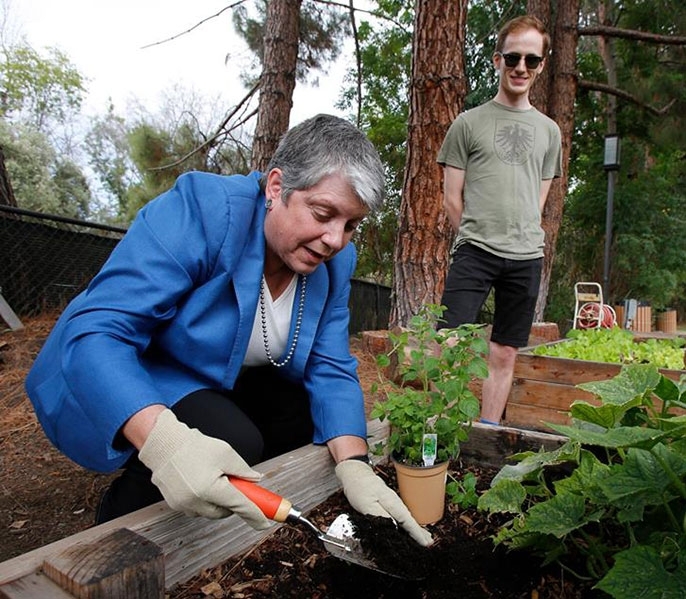 President Napolitano joins UCLA student Ian Davies in student-run garden. In the past 10 years, 500 million citrus trees have been grown from disease-free budwood provided by Lindcove Research and Extension Center (REC). Desert REC has 1,300 carrot varieties in production for USDA's carrot improvement program. California became one of the leading producers of fresh blueberries after UCCE researchers identified varieties that could thrive in California, so long as the growers acidify the soils and maintain acidic conditions in the irrigation water. 5,400 UC Master Gardener volunteers play a key role in helping Californians grow food in their own backyard, working in 50 California counties to teach research-based gardening techniques that minimize the use of pesticides and artificial fertilizers. Currently, more than 1,200 community, school and demonstration gardens in California are managed by UC Master Gardeners. Through our Expanded Food and Nutrition Education Program (EFNEP) and UC CalFresh Nutrition Education Program (also known as SNAP-ED), UC Cooperative Extension works with community agencies and schools todeliver nutrition education to low-income families, improving their health and food security and helping preventchildhood obesity. EFNEP and CalFresh programs are currently operated in 33 counties reach 222,000 members of the public each year. The Berkeley Food Institute (BFI) is an interdisciplinary institute launched in 2013 dedicated to research, education, policy initiatives and practices to support sustainable food and agriculture systems. BFI is catalyzing and fostering transformative changes in food systems, to promote resilience, justice, diversity and health, from local to global scales. The Atkins Center for Weight and Health (CWH) works with community groups to develop and evaluate programs to support healthy eating and active living, with a focus on children and families in diverse communities. As the largest UC campus, with more than 3,000 acres specifically devoted to agricultural research and teaching, UC Davis is addressing the pressing food and agricultural challenges that face California, the nation and the world. In addition to the World Food Center, UC Davis hosts 26 centers with a significant emphasis on agriculture and food, including the UC Agricultural Issues Center, Agricultural Sustainability Institute, Center for Produce Safety, Foods for Health Institute, Seed Biotechnology Center, Postharvest Technology Center, Plant Breeding Center, Giannini Foundation of Agricultural Economics, Center for Food Animal Health, and Robert Mondavi Institute for Wine and Food Science. In April, UC Davis unveiled the largest anaerobic biodigester on a college campus, using technology invented by one of its engineering professors to turn organic waste into renewable energy. The system, now in commercial use, is designed to daily convert 50 tons of organic waste to 12,000 kWh of renewable electricity, diverting 20,000 tons of waste from local landfills each year. Anthropologist Michael Montoya leads the Community Knowledge Project, an action-research partnership with community organizations in Santa Ana. Past projects have tackled obesity prevention and school lunch/food access. Upcoming project on diabetes prevention in Fullerton. In AY 2014-15, the Sustainability Initiative, in conjunction with social ecologist John Whiteley and UC Irvine's oceans faculty, will host a regional conference at the National Academies of Sciences' Beckman Center on Ocean Health, Sustainable Fishing, and Food Security. The Sustainability Initiative convenes The Garden Project, which coordinates the four campus community gardens (three of which are student-run) and builds links with the broader community involved in sustainable food production in Orange County, particularly in low-income communities. The UCLA Center for Health Policy Research and the UCLA–USC Center for Population and Health Disparities — among other centers — are actively involved in research and community projects to help improve food availability and security. The Student Food Collective holds farmers markets in UCLA's main plaza and manages a food-buying co-op. Multiple produce gardens on campus increase sustainability practices, provide more healthful options and serve as educational tools to facilitate healthy lifestyle choices by the campus and surrounding community. The UCLA Mildred E. Mathias Botanical Garden promotes plant diversity and ecologically sound practices. UCLA faculty, students and staff collaborate with LAUSD food services and medical staff on research and programs to promote healthy eating for the school district's 600,000 students. Public Health Professor A. Susana Ramirez and her students this summer will interview with customers at a mobile farmer's market that travels to different parts of Merced County to better understand food access issues facing Merced County residents, and the relationship between access to healthy foods and obesity. UC Merced is working to form a Farmers Consortium to promote the campus's interest in doing business with local farmers, in addition to direct communication with local farms. UC Merced's 400-square-foot community garden was developed on campus in spring 2014 by Engineers for a Sustainable World. Fruit and vegetables harvested will be donated to local food banks. The site will eventually be used for education and outreach. The campus's Early Childhood Education Center serves as a delivery point for Rancho Piccolo, a community- supported agriculture. Many faculty and staff are members and are able to get local, fresh fruit and vegetables every week. A chemist has applied chemical tests to juice products sold as pomegranate juice or pomegranate juice blends, in order to authenticate their content. 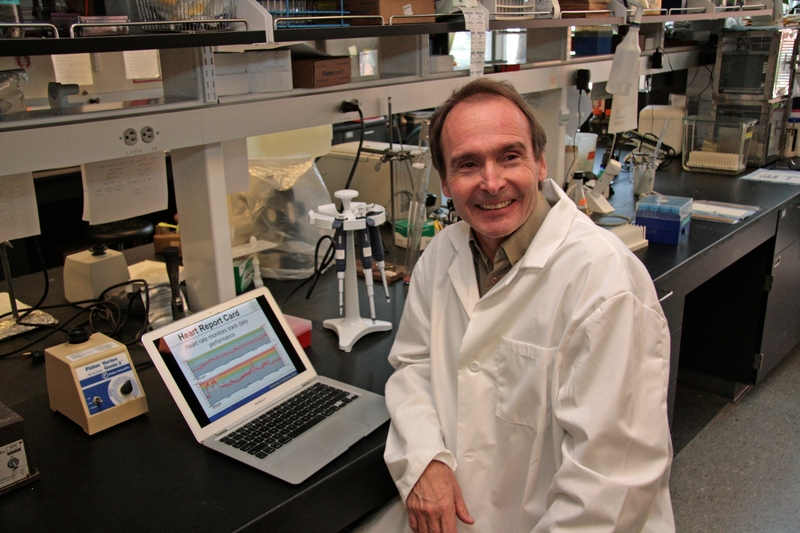 Another researcher is studying the effects of pomegranate juice on prostate cancer progression. Food and Fuel for the 21st Century supports the development of innovative, sustainable and commercially viable solutions for the renewable production of food, energy, green chemistry and bio-products using photosynthetic organisms — including converting solar energy into food and fuel, without the use of fossil fuels. Department of Literature students can enroll in “The Politics of Food” course that utilizes UC San Diego campus gardens for summer research. Students learn how community gardens are governed, planting their own seedlings and identifying campus markets for the produce they grow. In the Division of Biological Sciences, courses such as “Fundamentals of Plant Biology” introduce students to plant genetic engineering, plant disease and stress and sustainable agriculture. The UC San Diego School of Medicine's Child Development and Community Health program initiatives include Network for a Healthy California: Campaigns and programs focus on increasing fruit and vegetable consumption, physical activity levels and food security among low-income families. Healthy Works: This program initiates new farmers markets, promotes additional school and community gardens and helps residents to stay physically active and eat nutritious foods. In 2009, UCSF launched the Smart Choice Smart U program http://smartchoice.ucsf.edu) in partnership with MyFitnessPal, a leading mobile application and website and Fitbit, an activity tracker, that combines food tracking with physical activity to give real-time feedback about personal wellness goals. The Center for Agroecology & Sustainable Food Systems (CASFS) at UC Santa Cruz has developed cutting-edge programs in food systems and organic farming research and extension, national and international work in agroecology, and a renowned apprenticeship program. The nearly 1,500 graduates of its Apprenticeship in Ecological Horticulture have carried hands-on experience into teaching, farming and advocacy positions worldwide for more than 45 years. An on-site affiliate, Life Lab, uses the Farm for K–12 school tours, teacher trainings, summer camps, and the “Food What?” youth empowerment program. The Central Coast School Food Alliance (CCSFA) is a collaborative initiative that serves school children fresh and wholesome food in Santa Cruz, San Benito, and Monterey counties. Stakeholders include food service directors, non-profit leaders on community food systems development, researchers, educators, as well as elected local, state, and federal officials. German and his team are now decoding breast milk to better understand its components and why they work so well. They are discovering a wealth of information about how best to feed and protect the human body, lessons that will enhance health not just for infants but for us all. For one thing, a large part of breast milk goes into babies' mouths and out into their diapers with no digestion along the way. That's astonishing. Of the 500 calories a lactating woman burns each day to make milk, 10 percent is spent synthesizing something the baby treats as waste. If it didn’t have value to the developing baby, wouldn’t natural selection have discarded it long ago? Turns out, it has great value. The indigestible matter is a slew of sugar polymers called oligosaccharides that feed specific bacteria in a baby’s gut. 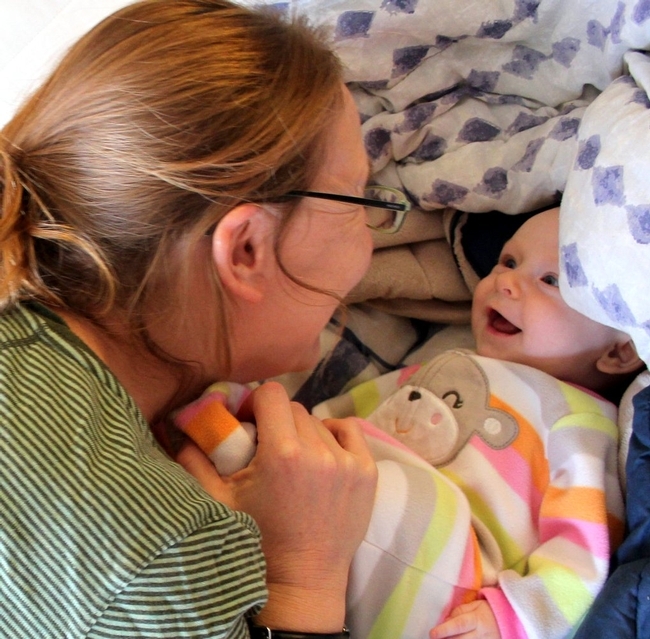 The oligosaccharides help good bugs proliferate and dominate, keeping babies healthy by crowding out the less savory bugs before they can become established and, perhaps more important, nurturing the integrity of the lining of an infant’s intestines, which play a vital role in protecting them from infection and inflammation. So maybe when we nourish our bodies, we should think about feeding our good bugs, too. How do we do that? Good question. Scientists can’t yet say for sure what a healthy bacterial community in our guts should look like, let alone how best to promote it. But one thing is certain, German says. “Our good bacteria play a much more important role in our health than we realized,” German said. So oligosaccharides might support microbial balance in our digestive tracts. Nursing babies can get them from their mothers. What about the rest of us? Another good question, and UC Davis researchers are on it, identifying, extracting and delivering health-promoting oligosaccharides from various sources, including whey, the waste product from cheese making. When you think casually of “food,” you may think of your next meal or your favorite food. “World food” may broaden your thinking to include international cuisines, global hunger, or a growing population. But the academic fields related to food are numerous. Food is one of life’s basic necessities, and along with its associated issues it is essential to the health and well-being of everyone, whatever their locale, education, or income level. The new World Food Center at UC Davis will take on a broad purview related to food, including sustainable agricultural and environmental practices, food security and safety, hunger, poverty reduction through improved incomes, health and nutrition, population growth, new foods, genomics, food distribution systems, food waste, intellectual property distribution related to food, economic development and new technologies and policies. With rapid global population growth occurring on smaller amounts of arable land, coupled with the expected impacts of climate change on food production, understanding the sustainability of food into the future is critical. The major academic disciplines surrounding food are found at UC Davis — agriculture, the environment, medicine, veterinary medicine, engineering, social and cultural sciences, and management. More than 30 centers and institutes at UC Davis will be pulled together through the World Food Center. The combination of scholarship, leadership, and partnerships at UC Davis has already established the campus as a center for food-related science and outreach. This new center will reinforce that strength and broaden the university’s ability to tackle tough global issues related to food. Although the founding director of the center has yet to be named, Josette Lewis, Ph.D., was recently appointed as the associate director of the World Food Center. Her background on international research and development for the U.S. Agency for International Development, and director of its Office of Agriculture, honed her skills to take on the World Food Center. It was at US AID that she worked on a major global hunger and food security initiative, establishing her expertise on issues related to global agricultural development and food security. As the new World Food Center becomes fully developed, it will be well-positioned on campus to continue to solve the major global issues related to food that are a hallmark of UC Davis.